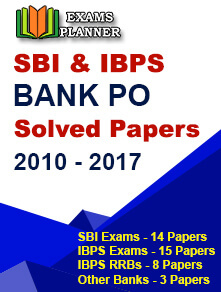 The Institute of Banking and Personnel Selection is going to conduct the IBPS PO exam 2018 in October and November. The recruiting agency conducts the exam to select qualified candidates for the posts of Probationary Officers in various public sector banks like RBI, SBI and its associate banks, NABARD, etc. If you are one of the aspirants, you must be undergoing a rigorous preparation process to stand apart in the IBPS Probationary Officer exam. With hundreds and thousands of candidates taking the exam, your chance of qualifying the exam and getting a high score is indeed a matter of concern. To get that top spot, your preparation has to be just impeccable. Your preparation starts right with the IBPS PO syllabus. 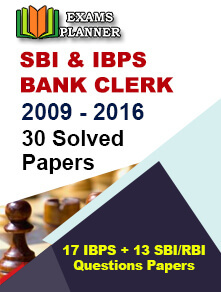 Here’s a chance to get hold of the latest syllabus of IBPS Probationary Officer exam before you move upon anything else. The exam is held in three stages – Preliminary, Main and Personal Interview. The candidates have to clear the prelims and mains before turning up for the viva. The prelims and mains qualified candidates are called for the personal interview round. They are mainly asked from the underneath questions. They are - Banking Awareness, Economics related questions, Personal Background and General Awareness.